On a recent visit to the Pella Wine Tent I overheard two Macedonians arguing over whether the poet Theognis was from Megara on the Isthmus of Corinth or Megara Hyblaea. It was an interesting discussion to listen to until they started fighting. Personally, I have no idea where Theognis lived, and for the time being, do not much care. My head is heavy with wine, Onomakritos, and wine overpowers me. and the room whirls about me. A few days ago, I witnessed a drunk man lose his ‘good judgement’ [gnome] when he criticised a very important person’s relationship with a good man. The drunk almost lost his life in consequence. … let him bring in laughter. The rage of Elektra reaches out across the centuries. What is making her mad this week? On behalf of the king, thank you to everyone who made our women feel extra-special following last week’s Camp Notices. 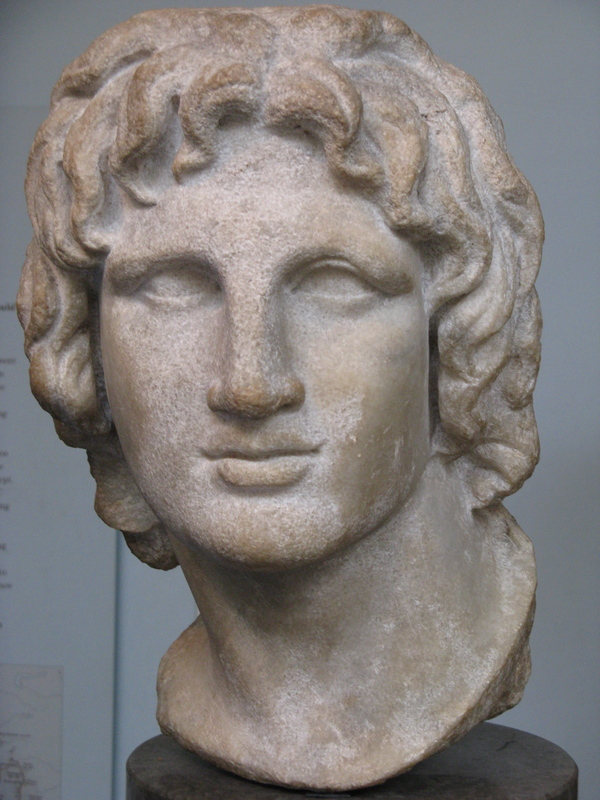 Naturally, Alexander spoke differently to you than the way I would have done, but then, he is Alexander and I am Parmenion. A number of individuals and societies undertook events for the benefit of our women. I thank Perdiccas for his fascinating (ahem) presentation on ‘how to compile statistics while on the road‘, and Lysmichus for his on ‘good animal keeping‘; Strategos Wolfe was a much appreciated assistant! I also thank the League of Amazing Eunuchs for the insights offered in their class on the benefits of being snipped. They made a lot of men uncomfortable, and a lot of women laugh. Last, but by no means least, I thank the Union of Macedonian Mothers for its fascinating study of ‘Why women are better‘. Well, I say it was a study, but it was just Cleopatra of the UMM standing up and saying, ‘Well, we are; who dares defy me?’ No-one did, of course, which perhaps proved her point. Or re-enforced her status as the hardest women in the east. Where there are women, children are never far behind so naturally they also were catered for. Thanks go to Ptolemy Son of Lagos for starting a series of classes at the mobile library to help women learn to write. And thanks to Polyperchon Son of Simmias and Hephaestion Amyntoros for their music classes. Obviously we regret the deaths of a number of the children who took part in the Wine Sarissa Club’s re-staging of the battle at Arbela. I believe most were drunk, however, so would not have suffered overmuch. Naturally, the Pork Chop Soc has apologised for handing out free crucifixion and impalement kits to children during their workshop on ‘Effective methods of torture that you might require when you grow up to be a successful general‘. Finally, thank you to the grandmothers who spent the week roving the camp, picking up lost children during the various classes and workshops and returned them to their families. Without you, no war in twenty years time will be possible. In this edition of the GSG, I will publish a letter (with permission) and my response. My husband is a literalist and obsessed with Sophocles’ Lovers of Achilles. He has nearly killed me three times now by hurling spears at me in our bed chamber while looking at me ever so sexily. I like how he looks, but what can I do to dissuade him from this practice? Please refer your husband to that portion of the play where love is compared to a snowball and remind him that in this hot climate, which we now find ourselves in, if he insists on taking master Sophocles’ play literally you ought to have no love between you at all. If he is consistent with his beliefs, he will very quickly drop them. If he doesn’t, since he loves Achilles so much, stab him in the heel. Present yourself to Amyntas of the Sarissa any time you see him in the Pella Wine Tent. Membership is by initiation. This involves drinking wine from a hollowed out twenty-one foot sarissa. If you can drink it without falling over drunk or by killing yourself accidentally when you push the tip of the weapon down your throat to get the last drops of wine then you are in. Membership is limited, but don’t worry, due to accidents and the occasional fight, we usually have vacancies. The above adult deaths, added to those of the last few weeks means we now have 25 membership vacancies. Thaïs of Athens will be leading a new appreciation of Prometheus in the mobile library all this week at sunset. Attendees are invited to bring rations for luncheon and contribute stories of how fire has affected their lives. The Lulz Spartans will be giving a talk in the Aegae Wine Tent this coming hemera heliou on how the Spartan state has successfully bred fine soldiers but too few generals. The talk is free – they are doing it for the lulz. The Friends of Rome (i.e. Amyntas Superbus and Amyntas Africanus) will be curating an exhibition on the Kingdom of Rome from the hemera hermu onwards. They plead for anyone even half-interested in that seven hill mudhut village to come along. Please can people stop telling Naïf Amyntas that is alright for men to attend the Thesmophoria festival. It is not alright. One day he will go and the women will tear him apart. He doesn’t need that. Thank you for your co-operation. This week, the Egyptian Cat shredded just a minor portion of the left armrest of Alexander’s couch. The king thanks the gods for the cat’s restraint. Welcome to the blog. I hope you like it!